Turning 30 is not usually a reason to be cheerful. Having passed the milestone not too long ago myself, and with grey hairs coming through thicker and faster every day, I speak from dire recent experience. 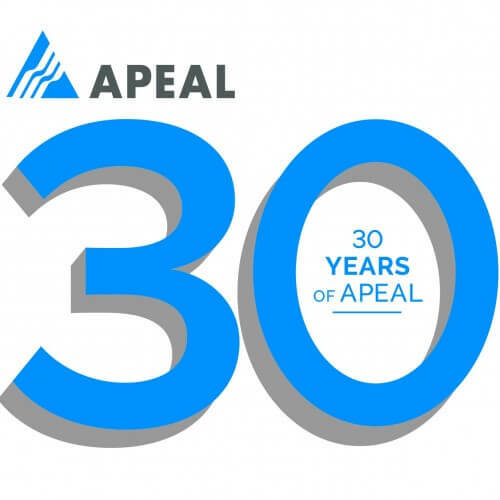 However, the folks over at APEAL had no such sense dread, leveraging the news hook it created into a really interesting and engaging campaign via Twitter. The basic idea was a nice one. 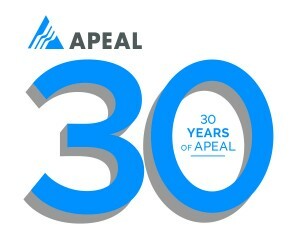 With “fascinating fact” based graphics usually a sure fire hit on social media, we produced 30 key facts about steel to mark the 30 years of APEAL. We then designed those facts into infographic-style images and packaged them into a 30 day plan, running throughout the 30 days of April, loosely titling it: “30 days, 30 facts about steel”. We posted them at peak engagement times each day on the APEAL Twitter page, tagging the #circulareconomy hashtag which is utilised by many of their key target audience members and, without spending money to boost posts through advertising, achieved a quite remarkable boost in statistics. The campaign trebled tweet impressions (the number of accounts tweets were deliv ered to), doubled profile visits and, crucially, created an almost 1000% increase in post engagement – a major success. With a fairly niche audience following APEAL on Twitter; primarily people interested in packaging, raw materials and circular economics, it was the engagement level that was particularly pleasing. Our key stakeholders were reading, sharing and commenting on the posts. This was all achieved without reinventing the wheel, without saying anything particularly different and without a gimmick – these facts have been part of APEAL’s core messaging for a long time. So what can we take away from the campaign? For APEAL, there’s a lot – extra followers, a rise in awareness and a nice landmark piece of content to use going forward, especially now that the images have been repurposed into a slideshow which they’ll be able to use widely. For the packaging industry – and indeed other associations and organisations more widely – it’s hopefully a lesson in how to maximise your message and interact effectively without the need for a “new” message or expensive additional content like video production. You don’t need to reinvent the wheel to get your message across; do the basics well, create content that people are interested in and target it effectively to those that want to read it.